At the 2017 LogiMAT China exhibition, NORD DRIVESYSTEMS showcases a very user-friendly drive electronics innovation – NORDAC LINK field distribution systems, available as frequency inverters and motor starters for interconnected conveyor systems. They feature manual control switches and maintenance switches for especially easy operation and service access, and are also equipped with PI controllers and an onboard PLC to empower smart autonomous applications. NORD is a global leader in electronic, electrical, and mechanical drive technology. The Chinese NORD subsidiary currently operates production plants in Suzhou and Tianjin with a total floor space of over 35,000 square meters. NORD China has 23 sales offices across the nation to provide customer support in China and in other Asian countries. The comprehensive NORD modular product range enables highly efficient drive concepts for conveying, positioning, and hoisting applications. 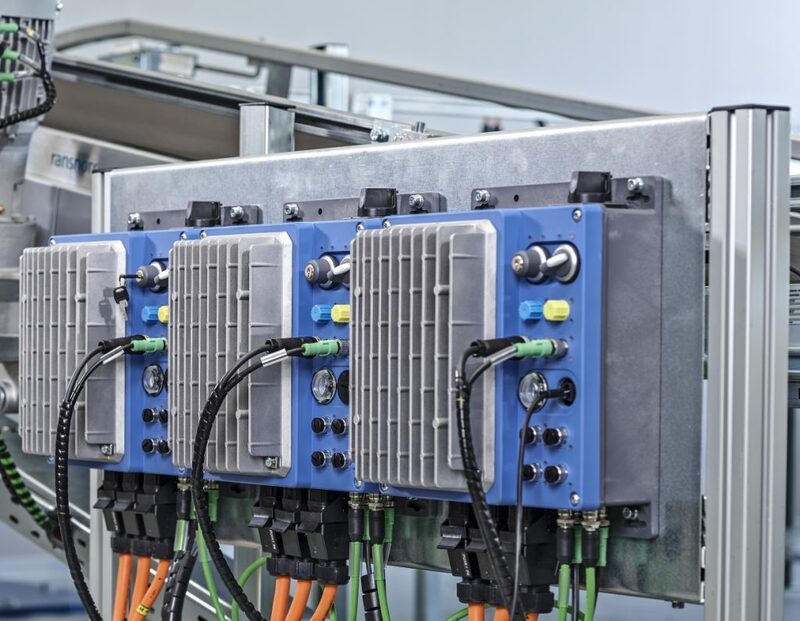 The product line-up includes IE4 synchronous motors with great energy-saving potential, notably in conveying systems with frequent partial-load operation and at low speeds – users will see significant TCO reductions in such scenarios. A dedicated logistics industry solution, standardized NORD LogiDrive units are engineered to be ready-to-use especially in large-scale plants with many belt and roller conveyors. They are not only very affordable, but also help streamline spare parts management. Combining an IE4 synchronous motor, a bevel gearbox, and a NORDAC LINK field distribution system, these systems come in three sizes that cover all typical performance requirements in postal sorting hubs, warehouses, and baggage handling systems.